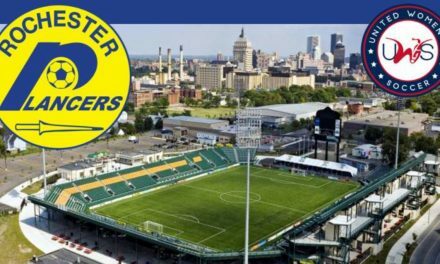 The Rochester Lady Lancers will hold a combine for their United Women’s Soccer season next week. The tryouts will be held at Monroe Community College in Rochester, N.Y. Saturday, April 20 from noon-2 p.m. The Lady Lancers open their third UWS season against Syracuse DA at home at Aquinas Institute in Rochester, N.Y. Sunday, May 19 at 2 p.m. 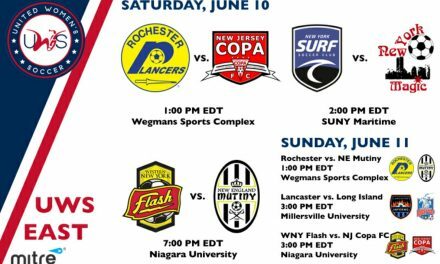 It is the first game of a doubleheader with the Lancers, who host FC Buffalo in their season opener in the second game at 5 p.m.
WILL IT BE FATHER LIKE SON? : Can Joey Tinnion emulate his dad, Brian vs. Rochester?